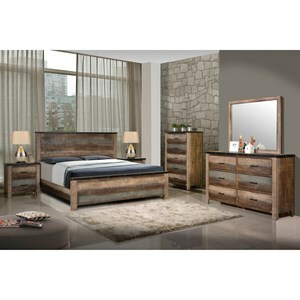 The Gabriela King Bedroom Group by Signature Design by Ashley at Value City Furniture in the New Jersey, NJ, Staten Island, Hoboken area. Product availability may vary. Contact us for the most current availability on this product. Drawer/Shelf Construction Framed top drawers with gilded bead detail. Side roller glides for smooth operating drawers. 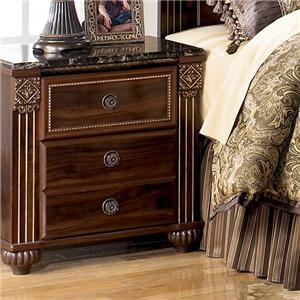 Bed Storage Built in drawers on the storage footboard. 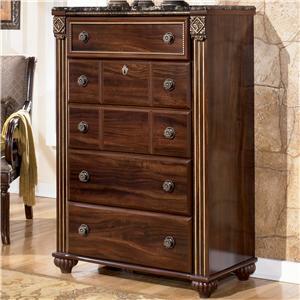 Finish Dark Brown finish features a hint of red and replicated mahogany grain. Case Details Fluted bun style feet for support. 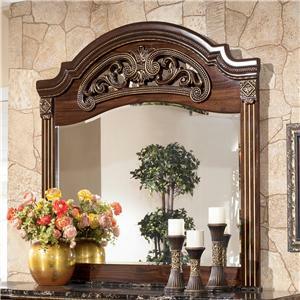 Richly finished bead, carvings and rope details throughout the collection. Handles & Hardware Detailed antiqued gold color hardware. 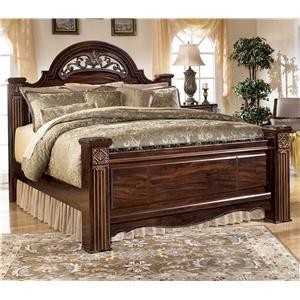 Bed Construction Exceptionally constructed with exquisite carvings and bead details. 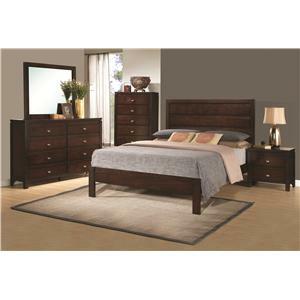 Select footboards include drawers for convenient storage. 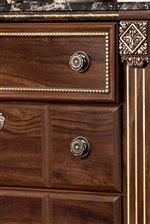 Case Construction Crafted from a replicated mahogany grain bathed in a deep red finish and accented with richly finished beaded, carved and rope details. 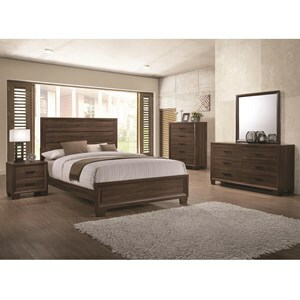 Transform the look and feel of your bedroom decor with the elegant and inviting look of the Gabriela bedroom collection. 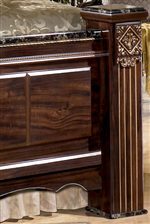 A replicated mahogany grain bathed in a deep red finish combined with exquisite design elements like beaded, carved and rope details flawlessly captures the true beauty of Old World style. 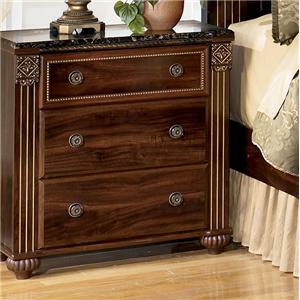 Generously sized dressers and chests enhance the functionality of any space, while framed top drawers with gilded bead detail and antiqued gold knob pulls illustrate the entire collection's stylish attention to detail. 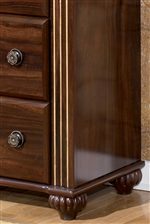 Black faux marbled tops add depth to already stunning bed and dresser surfaces and ensure a durable yet beautiful finish for years to come. Fluted bun styled feet conclude each piece with a classic, understated flourish. Embrace the timeless, elegant appeal of the Old World and enhance the beauty of your home with the Gabriela bedroom collection. 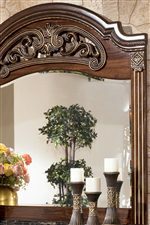 The Gabriela collection is a great option if you are looking for Traditional furniture in the New Jersey, NJ, Staten Island, Hoboken area. 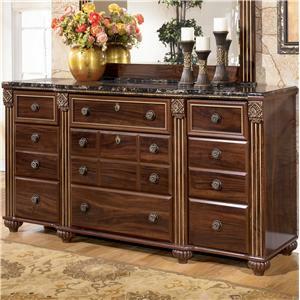 Browse other items in the Gabriela collection from Value City Furniture in the New Jersey, NJ, Staten Island, Hoboken area.